pocketbook albums - 4" x 5" replicas of the primary album, softbound. super cute! 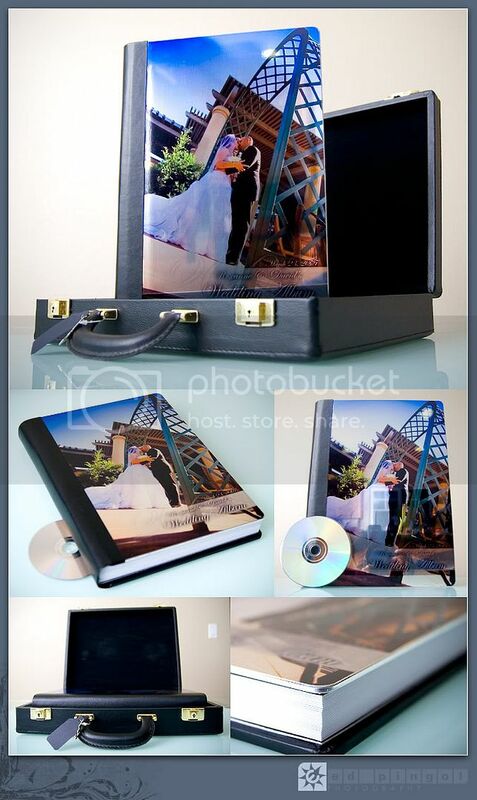 from top to bottom: opened pocket book, four pocket books, two 8" x 12" parent albums, super cool metallic 9.5" x 13" primary album and yes, a briefcase. it keeps your primary album safe and sound. 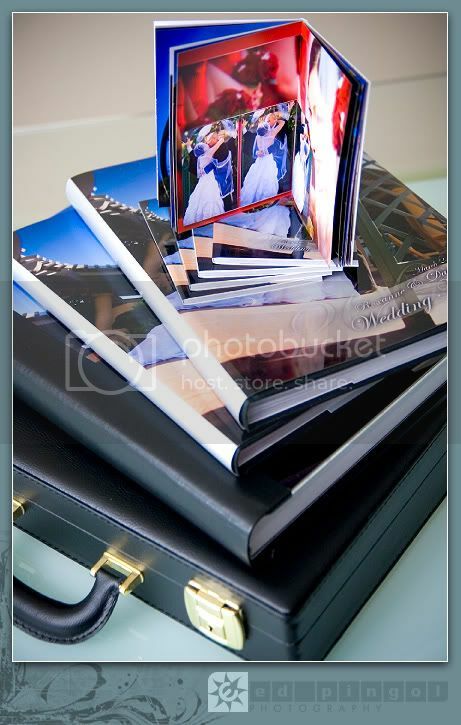 below are hardbound parent albums. 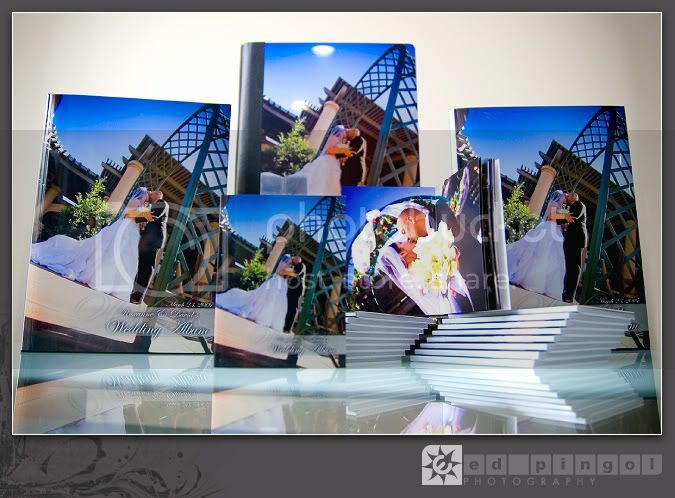 most couples order two of these... one for each side of the family. all of the graphi albums (no matter what size) open flat like so. 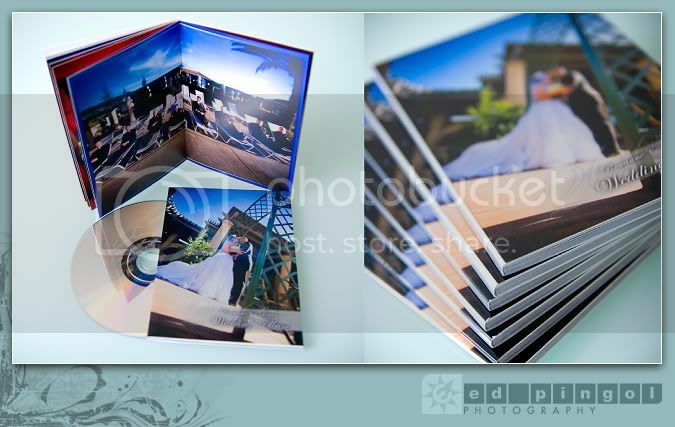 these are 4 x 5" pocketbook albums, which can be ordered in sets of multiple copies. why order so many? 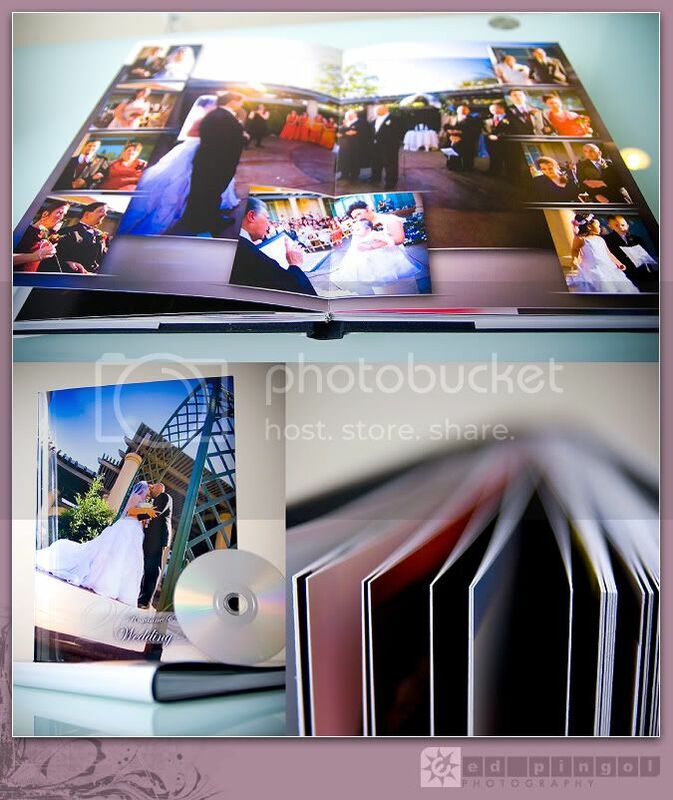 these are great for giving to bridesmaids/groomsmen, grandparents, sponsors, friends, relatives, out-of-town guests, etc. they make the coolest gifts!